Here’s some good news for Cut The Rope fans. 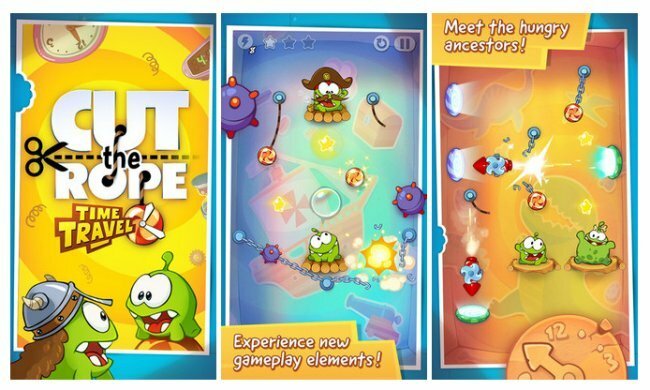 Zeptolab has just released the latest installment in its Cut the Rope series: Time Travel. In this game, the Om Nom travels through time to get some sweet treats. The game is set in six exotic locations including the Middle Ages, the Renaissance, a Pirate Ship, Ancient Egypt, Ancient Greece, and the Stone Age. The game looks like a lot of fun. Cut the Rope: Time Travel is available on the iPhone for $0.99 and in an HD version for the iPad that will cost you $2.99. Fans of the series will not want to miss this.